Lasandria: an ancient civilisation, consigned to oblivion by the greed and power-lust of its own people. The coming apocalypse heralds the arrival of a new evil that will ravage the world of Alanar for an entire age. Yet on the eve of Lasandria's destruction, the ethereal overseers of the mortal realm grant a dispensation -- a promise of hope for the future. That hope lies with an orphaned teenager named David, born some ten thousand years later; a boy whose isolated and uncertain existence leads him on a journey upon which hinges the fate of not just his world, but countless others. On the run from a brutal military force, David's quest is one born of shattered dreams and tainted by the thirst for revenge. As an inter-dimensional war that has been waged since the beginning of time threatens to consume his world, the dark force that destroyed Lasandria lurks in the shadows, ready to take possession of the one thing that will either save or destroy Alanar -- David. I dreamed of being a writer from almost the time I was old enough to pick up a book. It's something I never questioned as I grew up. As a child my head was always brimming with stories, adventures, far off lands and all kinds of characters that were almost like invisible friends to me. I would spend hours in the garden playing by myself, letting these stories unfold as I danced about, engaged in mortal combat with fearsome enemies and endeavouring to save the universe as we know it! I still think there's nothing in the universe quite as magical as a little kid's imagination. As I grew up I knew I wanted to find ways to share my stories. Just about every medium of storytelling fascinated and inspired me—whether books, comics, films or television. It was very much an innate love—not something that was instilled in me, or something I consciously developed, but something that was as natural to me as breathing. Having said that, although the urge to create may be a natural one, the journey of a writer is rarely an easy one. It can be, I suppose. All one technically needs to do is find an idea, sit down and start scrawling words on paper. But it was never quite that easy for me. My apprenticeship as a writer was a long and arduous one. 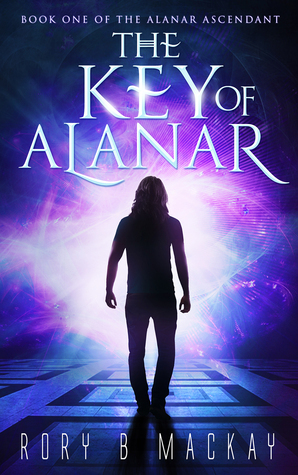 My new novel, The Key of Alanar, is a story I began developing when I was quite young. I can't even remember where the initial idea came from. I do remember that I was compelled by this deep desire to create a book that I hoped would eventually become a film or TV series. My style of writing is quite visual, and many who have read my books have remarked what wonderful movies they would make. I began actively working on the ideas when I was about fifteen years old. At a time when I should have been working hard at school, going to parties and chasing girls, or boys, I spent much of my time dreaming up the world of Alanar and envisaging the characters and plot that would eventually become the framework for The Key of Alanar. I had a vision and I was committed! Those are the two most important steps for any creative endeavour. Perhaps if I'd chosen a less ambitious concept for my first novel I'd have finished it a whole lot sooner. But I didn't. I wanted to tell the ultimate story—the best story I could possibly tell; a story that captivated and enthralled me. I wanted to tell a story about life; about the human journey from loss, pain and lack to some kind of peace, redemption and wholeness. I admit, even as a kid, I was always a bit of a deep thinker—a natural born philosopher and mystic. I set out to tell a story that meant something; a story that would hopefully inspire and challenge the way people see themselves and life. I wanted to write a book into which I'd put so much love, attention and effort that even if I were never to write again, I would be satisfied. I had nothing if not ambition. I spent many years working on the initial drafts of The Key of Alanar, and eventually brought it to completion in 2007. I was delighted to finally have completed a project that had been with me for so long. Looking back, however, I'm not surprised I didn't find a publisher for it. It was a good book, but I was as yet unskilled as a writer and hadn't really done it justice. It takes significant time and practise to become a good writer. It doesn't happen overnight, as nice as that would be. Furthermore, a writer's apprenticeship is beset with frustration, self-doubt, failure and rejection. The obstacles, both inner and outer, are many and often overpowering. As I committed to the journey of a writer, I experienced enormous self-doubt and many times when I simply wanted to give it all up. But I found that I couldn't. The desire to create is like an itch that, unless scratched, has the potential to drive one insane! The Key of Alanar is more than just another fantasy adventure about goblins and dwarves. It's a story about a boy learning to deal with the painful things life throws his way, heal his past, discover who he is and realise the gifts he can bring to a world in desperate need. It's a human story; a story about the journey we must all take through life. With some subtly woven metaphysical elements it's also an inquiry into the very nature of reality, consciousness, life and death. While ensuring I was still writing an accessible, action-packed novel, I wanted to delve deep and incorporate my love of philosophy and metaphysics. I wanted to push the boundaries of storytelling and see how far I could take it. I knew I had to write from my heart and tell the story I always wanted to tell, the way I wanted to tell it.  I rewote The Key of Alanar from scratch following the publication of my first novel, Eladria. In retrospect, I can see that in order to write a book about life, I first had to experience life. I had to experience pain and loss; to lose people extremely close to me; to fall in love and be heartbroken; to feel lost and alone; and to ultimately find my place in life, and to begin to understand the nature of reality. My journey through life as a person is paralleled in the characters, particularly the protagonist, David. And the metaphysical aspects of the book are not simply an arbitrary diversion, but based upon in-depth study of the Vedas and my own spiritual visions and experiences after twenty years of meditation and exploration of levels of consciousness. With this book, I found the courage to write from my heart, to share my journey and experiences, and to share ideas and knowledge that I hope will stay with the reader and benefit their life in some way. 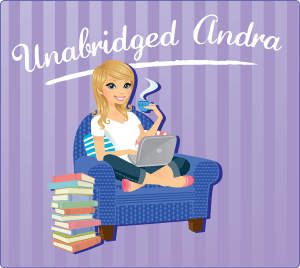 The journey of a writer is not an easy one (we just make it look easy as we sit sipping our latte, fingers elegantly dancing across the laptop keyboard!). But it is a worthwhile one, so long as we have the courage to write from our heart and then be willing to share it with the world. The world doesn't need more mindless distraction and diversion; the world needs stories told from the heart—from a place of love, integrity and wholeness. We need stories that challenge and provoke, stories that explore the way we live our lives and the problems we face along our way; and stories that offer the promise of hope, inspiration, healing and wholeness. It took only seconds for an entire civilization to perish. Ardonis watched as the shockwave tore through the city in every direction. The golden metropolis was laid to waste with devastating ease: the buildings collapsing into smoldering ash, scattered by the wind; the crowd of thousands incinerated in the blink of an eye. Fire and cinders spiraled from the rubble as a rising cloud of smoke devoured every last trace of daylight. The only illumination came from the object of the city's destruction—the gateway. Towering above the ruins, its metal pillars stood miraculously unscathed, at the centre of which the pulsating whirlpool of blue-violet light continued raining down sparks of electrical charge. His city was gone, but Ardonis knew that the worst was yet to come. He watched with a sense of dread as an object emerged through the portal: an airship puncturing the thin membrane between universes, shooting into the sky above the rubble. Closely followed by another, and then another, the black metallic craft soared over the ruins like carrion birds in search of prey. A stream of ground troops followed; wraithlike reptilian creatures with gnarled, distorted faces, armed with rifles and blades. The metal-clad soldiers marched through the gateway, spilling into the dead city like an infestation. Ardonis knew it was no coincidence these demonic creatures had arrived in the aftermath of such carnage. He watched them feed off the destruction around them; ingesting it as though death itself was a vital nourishment. He could sense their hunger. Finally freed after eons of captivity, they were ravenous and would not stop until their hunger was satisfied. It wasn’t just Ardonis’s beloved city that had fallen. His entire world had now been thrust into an unending age of terror. A natural born writer, thinker and dreamer, Rory Mackay was born in Glasgow, Scotland in 1979. Since then he has lived most of his life in the North East of Scotland, a place he finds scenic and inspiring, if a tad cold. With a lifelong passion for creative writing and art, Rory knew from a young age that he had stories to tell and adventures to share. As he grew up and became interested in philosophy and metaphysics, he came to realize the potential of literature and art as a means of sharing ideas, posing questions and exploring the nature of reality in a way that is accessible yet compelling and challenging. Rory will be awarding copies of both of his novels to a randomly drawn winner via rafflecopter during the tour. Hi, did you design the cover? Love the colors.